Do you want to double your instructions and slash your marketing spend but you have no idea how? I’m going to let you into a secret – a hidden but critical mistake that over 99% of the independent sales and letting agents I speak to are making, trying to attract the best vendors and landlords in their area. And exactly what you need to do to avoid this mistake. I will also share with you the fastest way I know possible for you to attract ten ideal clients to your agency in the next 90 days. What are ten high-value clients worth to you? £20,000? £50,000? £100,000? Even if you’ve never charged a fee that high before, when you follow my blueprint exactly, you will be able to charge the fee you really deserve. Whether that’s 1.5%, 1.75% or even 2%-plus. Joe bought a franchise and followed their marketing guide to the letter. But it didn’t work. All he ended up with was a giant hole in his bank account, and sore knuckles from posting leaflets through thousands of letterboxes. He knew he had to do something drastic or he was going to go out of business. So he took a deep breath and signed up to my coaching programme. With my unique blueprint, tailored training and private mentoring, Joe was soon getting invited out to the £500k+ properties on his patch. With some really solid 1% fees under his belt, is now quoting 1.25%, with a plan to charge 1.5% once his portfolio is where he wants it. And this in an area where the average agency fees are less than 0.75%. His three year revenue goal is now his one year revenue goal. He’s absolutely flying. Why aren’t you growing your business as fast as Joe is? I know how frustrating it can be to try to build your business feeling like you’ve got one hand (or both) tied behind your back. I know because I used to be you. I know what it’s like to struggle in my business. I know what it’s like to have no clients. I know what it’s like to have no confidence in my fees, afraid that if you charge more, no one will pay it. I’m no different from you. I just happened to discover the best system in the world for building an independent estate agency that is profitable, sustainable, and thriving. My system allows independent agents like us to experience the freedom of attracting the clients we want at the fees we deserve. It’s the same system that’s allowed my clients to double their instructions and triple their profit, time and time again. Even brand new agents like Joe can turn their yearly income goals into their monthly income goals…. all whilst getting amazing results for their clients. I will share all the details of that system in just a minute, but first… I want to share with you the real problem. 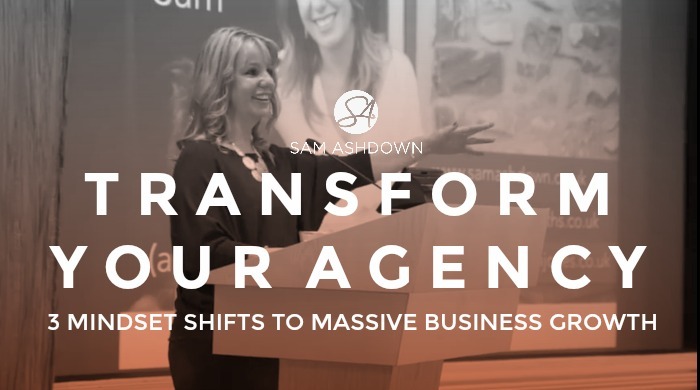 After working with 1000+ independent agents from all over the UK I have discovered what slows agents down, gets in the way… and even will even sabotage your efforts to attract great clients. And why struggling to get through the right doors is not your fault. The real problem is that you have been given really bad advice. That advice has had you wasting your time with a bunch of boring, outdated and exhausting marketing strategies. Strategies that steal your time, drain your bank account, and just simply don’t work. You need to be a social media expert. Einstein nodded, “Yes, it was the same exam”. Einstein thought for a moment and then said, “well, the answers have changed”. So it is in estate agency marketing; the questions are the same: How can we get the phone to ring? How do I get through more doors? How can I increase my listings? But the answers have changed, and are continuing to change, constantly. The quest for profit, and in some cases, simply surviving, call for a continuous, ongoing process of strategic and tactical marketing activities. Stop what’s not working, today. If you don’t, you’ll waste tons of time and money on useless marketing, expecting your ideal clients will somehow find it. And then hoping that somehow, eventually they might invite you to give them a market appraisal. This is spray and pray marketing, and it doesn’t work. You spend hours each week trying to make it work, using up your precious energy and money, and never seeing an improvement in your bank balance. This is not what I want for you. And I know it’s not what you want for yourself. And this is the reason that your struggle to get invited out to the best properties is not your fault. You’ve simply been advised wrongly. When you have a system for attracting the best clients at the highest fees, the money comes in very quickly. You don’t have to push out a bunch of leaflets and pray you’ll get a load of phone calls. When you have this system you’ll know exactly where your next instruction is coming from. So let’s dive into the three specific shifts I have for you today. The first shift is the one thing you should not say if you want clients to instruct you. Most people start their conversation by talking about this exact thing. And it stops your clients from seeing you as someone they must sign up with – now. It’s ok to talk about, but only at the right time, or they will tune you out, and ignore everything else you have to say. Don’t talk about your service. Don’t mention how you work. Don’t talk about how great your agency is. You must begin the conversation by talking about their problems and challenges. Solving their problem is the only thing you care about. Your potential clients have a challenge that your service can solve. That challenge is keeping them awake at night. They need it solving so they can move on with their lives. If you start out by talking about how wonderful your service is and why they should trust you, you’ve already lost the sale because that’s not what they’re looking for. So start out by describing their problem, in great detail. In your marketing; in your communication; in your blog posts; in your social media. Show them that you understand their situation and challenges better than anyone else. When we hear someone describe our problem better than we can, we automatically assume they know the answer. And then we want to hear more. It’s like you’re reading their mind. Immediately, they believe that you have the solution they are looking for, and that you are different from everyone else. And that’s the time you can talk about your solution. It will demonstrate to them that you are an expert. And it will instantly create desire to work with you. Now when they reach out, they come to you already knowing they want to work with you, and that you are amazing at what you do. Isn’t that the kind of client you would love to work with? The price of your service should be based on what it’s worth to have that problem solved. What’s it worth for someone to be able to move on with their life? To get out of debt? To cut their commute? To spend more time with their family? To live in a home that fits them perfectly? When you are great at what you do, you should be commanding a premium price. You deserve to be paid the best, because you deliver the best. Setting your fee based on that outcome sends a signal to the potential clients that you have the solution they’ve been longing for. You’re not going to waste their time; you are the only answer they need. If clients came to you ready to take your advice and showed up eager to pay the premium price for your services, because your positioning was clear and powerful, how much faster would you hit your income goals? Now here comes really big shift that is the most important of all. This is the shift that will allow you to attract 10 high-fee vendors in the next 90 days. Craft your message around the problem that you solve. Using whatever medium is the right for you: a letter, blogpost, Facebook post, or networking. Step 1: Clearly state the problem, and state all the costs of not solving it. Let them clearly see that unless they solve this problem now, things are only going to get worse. Now that they know you care, and now that they’ve begun to believe you have the answer they’re looking for. You prove that you can help. Give them a piece of the solution they’re looking for to demonstrate your authority. Now there will be no doubt in their mind that you are the answer they have been seeking. Make it a quick win for them, so they can action it and get results straight away. But don’t give them all the information; this is just an indication of the level of advice they can get by working with you. Step 3: Invite them to reach out if they want more help. When you execute this correctly, you will have the very best vendors and landlords in your area wanting to work with you. And now you can pick and choose the very best ones most want to work with. No more saying yes to every instruction because you can’t afford to turn one down… even if they aren’t the right fit for your agency. 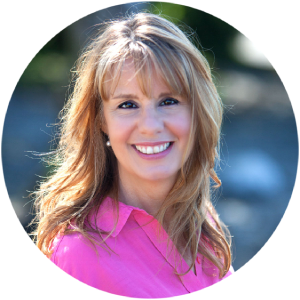 Now you know the three fundamental shifts needed to attract clients who are perfect for your business. You might be feeling overwhelmed or even fearful of letting go of your current marketing activities, even though you know they don’t work. That’s okay. Choice 1: Take the information here and try to go it alone. Or choice 2: You can decide to skip over all the trial and error and frustration, and discover this system straight from the expert. Me. If you’ve never worked with a coach before, you may not know yet that there’s just no substitute for live help from an expert who has helped many people just like you get what they want. And that’s what I want to offer you today. I’m the creator of the Independent Agent’s Success System. My team and I are willing to work with you one-on-one for 30 minutes to lay out exactly how you can start getting the clients you want, at the price you want, whenever you want. #1: Your market opportunity – how big is your market? Can you shift your focus to low volume/high fees? What’s the potential of your agency? #2: Your business goals – where are you heading? How fast do you want to get there? What’s standing in your way? #3: Your current marketing strategy – what’s working for you right now? What’s not working? What do you wish you knew more about? Every day, we work with independent agents just like you make more money, in less time, while providing a terrific service. Agents who have gone on to achieve amazing results; increasing their fees and boosting their profits, almost immediately they follow my Blueprint. What to do next: Are you on my Supertips list? Why the heck not?? Thousands of estate agents all over the UK (and beyond) have signed up to my Supertips and enjoy the free tips and tactics I send them every single week. Get yours here and never miss out again. Next post The Digital Agent – Myth or Fact?